Beautifully Remodeled and Room to Roam!! If you’re looking for acreage we have the spot for you! Our newer listing at 41 N Heptner in Rozet absolutely has it all! Situated on over 8 acres this home is 3 bedrooms, 2 bathrooms and just shy of 3,700 square feet. 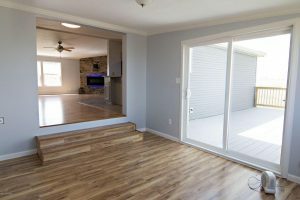 This home is beautifully remodeled and sits on a full unfinished basement allowing plenty of room to grow! 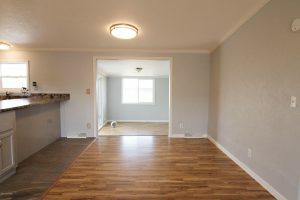 The main living areas of this home boast low maintenance tile and wood laminate flooring. 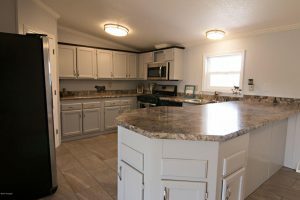 The large kitchen comes complete with new counter tops and appliances. A generous pantry adds even more storage space! A rock fireplace with backlights offers ambiance and a conversation piece to the main living area. There’s even a TV bracket installed for your convenience! 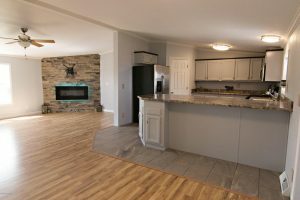 The open concept layout from the dining room to the living room makes this an excellent home for entertaining! A bonus room off of the dining room could be used as an additional living space, library, den or even a formal dining room. Another living space with a knee wall leading to the basement allows for plenty of room for everyone to spread out! The master bedroom retreat has a gorgeous en-suite bath with a dual sink vanity and tiled shower. 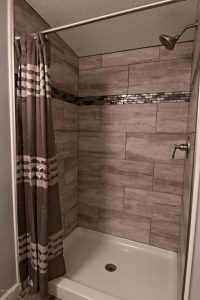 The walk-in closet is conveniently located just between the bath and bedroom. A closet for your towels and ample storage in the vanity allow you to keep the space clutter free! 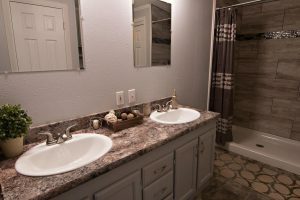 You’re sure to appreciate the main level laundry room! 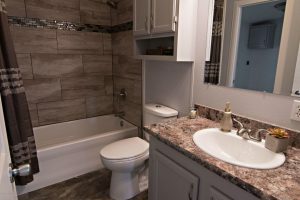 Two more large bedrooms and another beautifully updated bathroom complete the main level of this home. 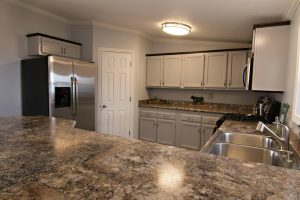 The basement is another full 1,848 square feet you can finish to your tastes! 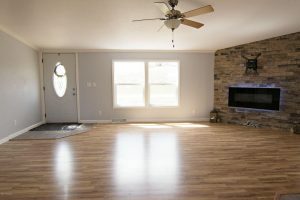 Outside of this home, you will find a nice porch off of the front for enjoying summer evenings. A large deck off of the back is an excellent space for summer entertaining! 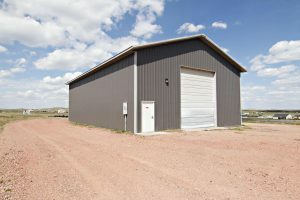 A 40×64 detached shop with a concrete floor, 22-foot sidewalls, and 14×16 bays can sure be used for just whatever you can possibly think of! This property has room for all of your animals and you’re sure to appreciate the expansive views you can only find in rural Wyoming! With all of these desirable features, this home will not last long!